A simple product provides few very common and simple features. A product which is created for a limited scope and provides a set of functionality within that scope can be called as simple product. Whereas making a product simple is a different thing. It means creating a product that provides features based on its users’ needs with simplicity. It is obvious that if a product contains a large number of features, it becomes complicated. Making the user experience simple for this kind of product is a tough job. And a UX designer is that genius person in an organization! His job is to create user scenarios based on customer requirements and convert them into visuals on user interface. This process needs to be performed very carefully so that simplicity of the product may not be affected. UX designer finds the best possible ways to resolve customer problems by providing them necessary features. While adding features in a product, never sacrifice clarity and cleanliness that product is already providing to its users. Provide only necessary details with less impact on user experience. Don’t keep on adding features on every demand, otherwise this will make the product miserable for user. First analyze the requirement, see how it will impact the product and then commit it with customer. Make a clear difference between actual requirement and wish-list. Sometimes customers demand a very specific feature that does not add any value to the product. So be aware of such specific kind of requests. This will make the product complex, increase learning time for user and reduce simplicity. 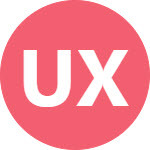 A simple user experience that helps user to achieve his goal is much better than a complicated abundance of feature-set. A reasonable balance between simplicity and features is the best way to move forward.